The biggest musical collaboration of the year is back! Lancaster University student societies: LUTG, ULMS and LUDanS are proud to present Hairspray, a show that will make it impossible not to sing along! 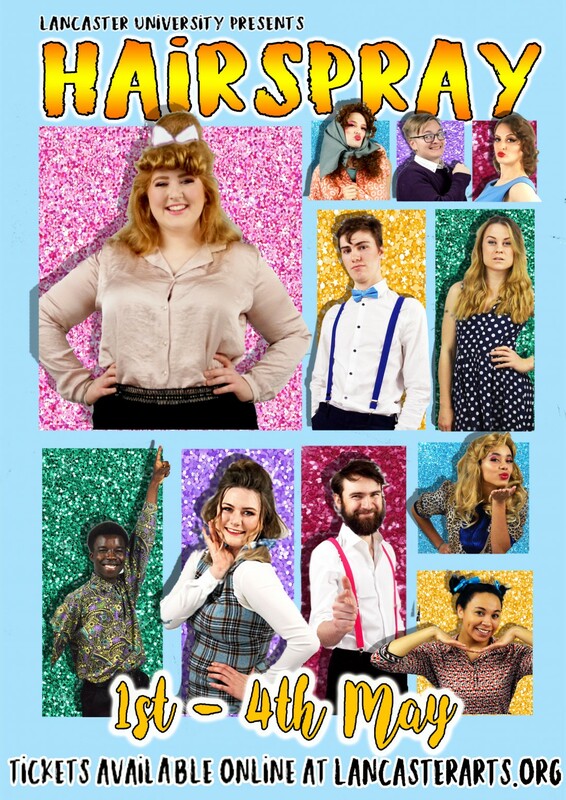 Follow the adventures of Tracy Turnblad as she fights for everyone to get a chance to dance on her favourite tv show, learning important lessons and making new friends along the way. Come dance with us at the Nuffield Theatre from the 1st to the 4th of May!